My name, for all intents and purposes, is Hafapea Nut. This is obviously not my real name but, it is the name I use in all of my online dealings and as an artist. My real name is Lisa, which is no where near as fun, and I am a single mother who lives at home with her folks. Up until 5 years ago I had been traveling the country as a free-spirited gypsy and was making plans to see the world. The powers that be had different plans for me though and, despite the fact that doctors had told me it could never happen, I got knocked up on my birthday. Thing is I was unemployed and living on a commune in Oregon at the time, so I had to think fast. After six months of not being able to make things work with my baby daddy, I decided to move home to Mom. I have lived here, in Florida, ever since. After giving birth to my son, I immediately enrolled in college and I am now in the last year of earning a Master's Degree in Library and Information Sciences. Lisa I started designing at Zazzle in 2008 and my choosing them was more by accident than design. I had never heard of Zazzle before, so I actually began trying to sell products at Cafe Press. Somewhere along the line I stumbled upon Zazzle. I think I Googled "print-on-demand shops" or something. I kept my Cafe Press shops up and running but, since I wasn't making any money at it, decided to turn my focus to filling up a Zazzle shop instead. It was a good thing too, because my Zazzle shop started making money within the first month that it was open. A few months later, having still not gotten a sale, I closed down all of my CP stores and made Zazzle "the one." Lisa I currently have 2 stores at Zazzle: Designs by Hafapea and Princess Penelope's Persnickety Pixel Palace. I have 3 other shop URLs that I haven't used yet, but I wanted to get them into place before the merging of shops takes place, just to make sure they get integrated into my account. Once the merging is complete, I will name and begin stocking them. For now, thought DBH and PPPPP are it. Designs by Hafapea is my original shop. It has over 15,000 products in it made using over 100 of my original pieces of abstract fractal artwork, as well as another 25 or so product lines made using other forms of artwork that I have either created myself or purchased a license to use. Princess Penelope's has only been open for about a month and there are less than 200 products there right now - and all are for St. Patrick's Day. Once the merging is finalized, I will transfer all of the pixel art lines from DBH to there, though, as that store is going to strictly be for pixel art creations. The other shops will contain the licensed artwork that I have purchased from various sources. One of them will be dedicated to digital scrapbook art, another to fantasy art and the third will probably be mainly floral. I haven't actually decided yet, but that is probably how it will end up. Lisa That's a hard question to answer. I have several products that sell well, but there isn't really one that sells more often among them. 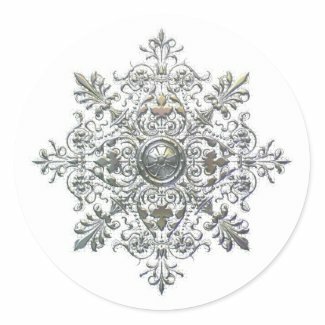 Although, my Silver Snowflake Sticker sold like gang busters during the winter holiday season and is still getting a couple of buyers here and there. 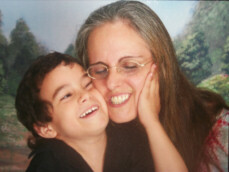 Lisa When I'm not working on my store I enjoy spending time with my son. Other than that, I am either making more pretty pictures or playing mindless Facebook games that help me to relax. Lisa I don't. LOL There are only three reasons that I voluntarily stop working on my shop: creating products or promoting it. The first and most important of those is so I can spend time with m'boy. Second is so I can get some school work done and third is simply because I need a break. Lisa It took me 7 months to earn Bronze level ProSeller status. Not too bad considering I did next to nothing to promote my shop until this year. Lisa The only advice that I have to offer is a repeat of what you said: work hard and give it time. There is a Squidoo lens out there that I read way back when that said if you create a lot of products, you will sell a lot of products. Being short on funds and time, that is what worked best for me. It cost me nothing in dollars to create products, so that is what I spent all of my "spare" time doing - and it paid off. The only other thing that ever did anything to boost my sales was lowering my prices so that all of my markups were between 12 and 15%. I think those methods only work up to a certain point, though, and once you have reached it, you will need to start focusing on promoting your site. That is where I am at now. My sales for 2010 were up by 60% from the year before, but they still seem to have leveled out. So, I'm trying my hand at blogging, Facebooking, Tweeting and linking to see if I can't do something to change that. None of these methods provide fast results, though, so I am not sure yet how well any of them are going to work. Applying logic to my lunacy it makes sense that you would need to build your shop up before you can start promoting it, though. Otherwise, you have nothing to promote. Wow, what a great and very thorough interview. Very nice story and lots of great tips. This was fun to read. Hope all the best with your zazzle shop. first off, thanks for sharing the bio's. Great read and learned a few tricks of the trade. And thanks for the congrats on my new job. My boss wont read it because she works "70 hours a week". Well, Im not impressed. I felt like saying as she brags about it, to go get a life..lol. If and when she finds it the blog, there will be nothing that she didnt know because I will be doing an exist interview and letting them all know. SHe was the most negative human being I have ever met she just sucked the life out of me.